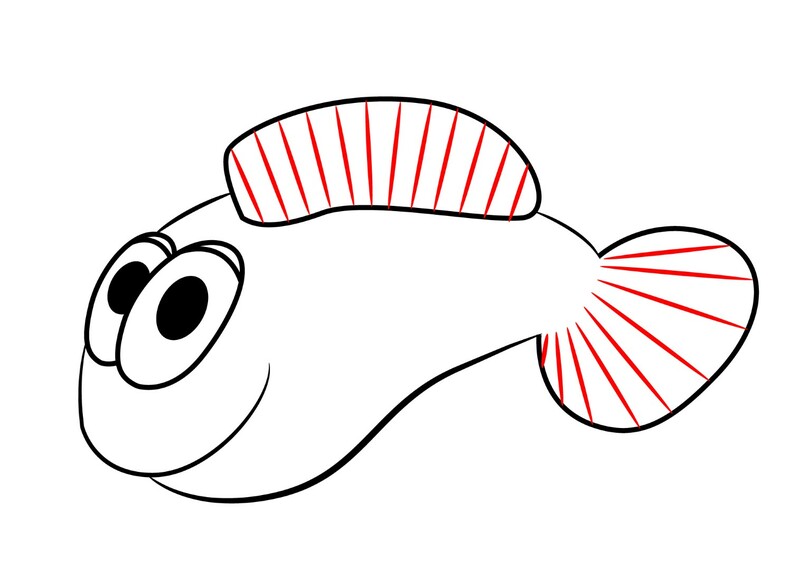 Today we’ll be drawing a cartoon clownfish. 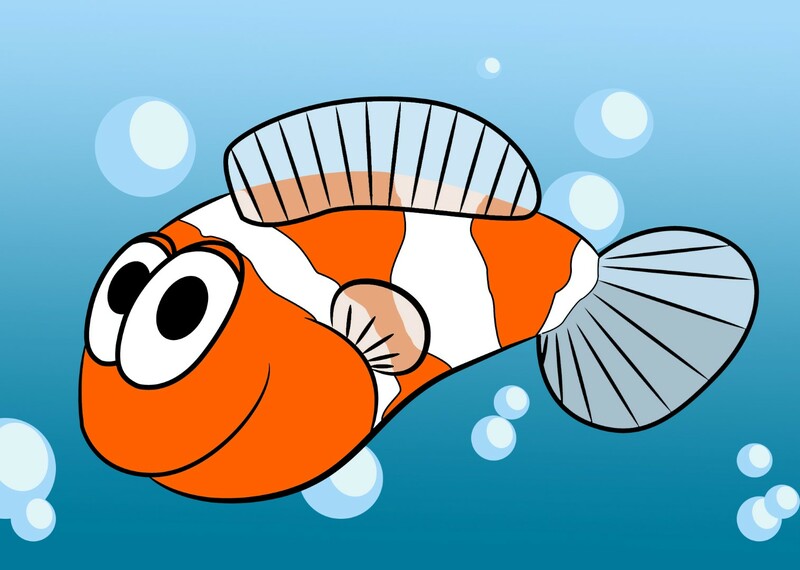 Clownfish are the cute little guys who spend the majority of their lives cuddled up with sea anemones. 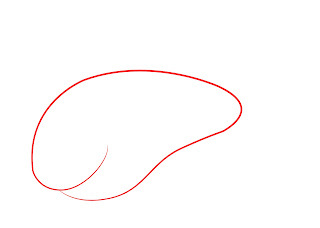 Clownfish are one of my favorite fish, and I’ve done a tutorial on how to draw a more realistic clownfish before. 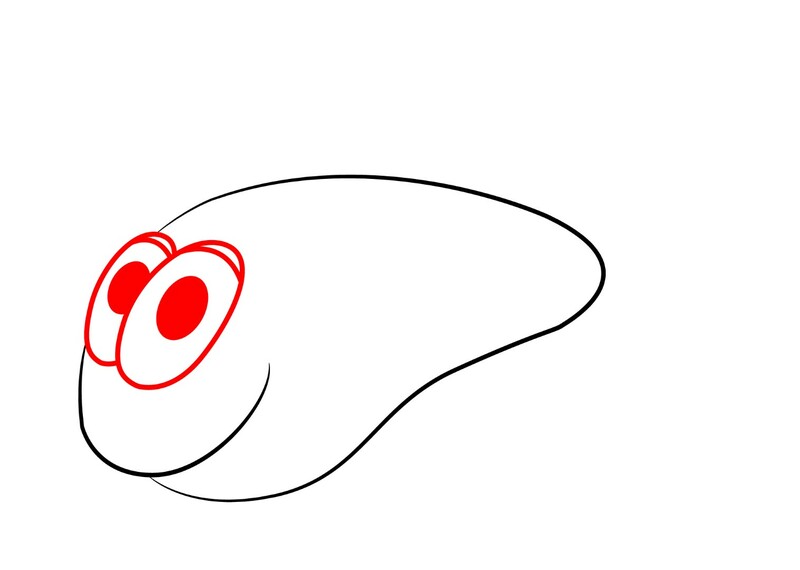 But with the all the cartoon animal tutorials, it seems like a perfect time for this one. 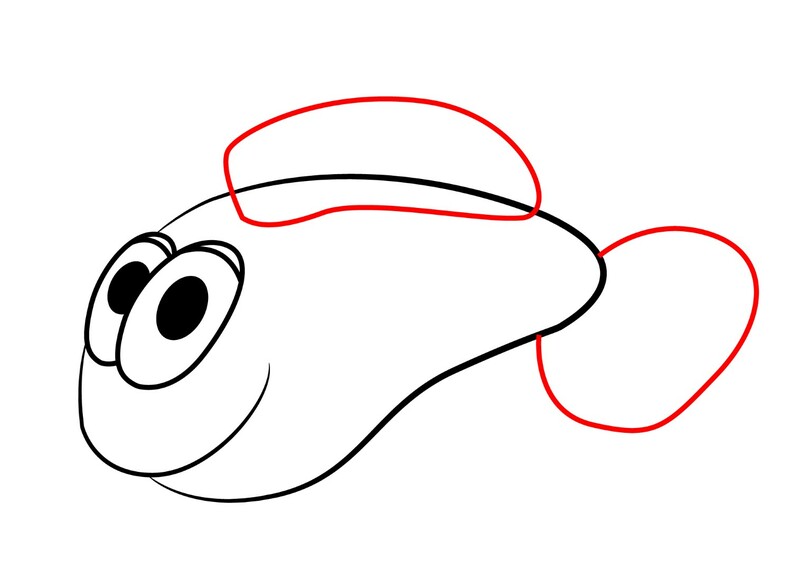 To get our cartoon clownfish started, we’ll first need to draw a large oval shape which will become the entirety of the fish’s body. 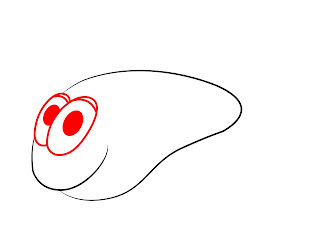 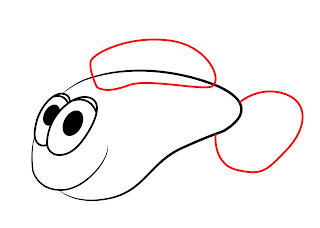 As you can see, the front of the oval should extend inside a little bit in a curved line to form a smiling mouth. Right above the clownfish’s mouth, draw two large oval eyes–each with a small line running across the top for an eyelid and a small oval for a pupil. 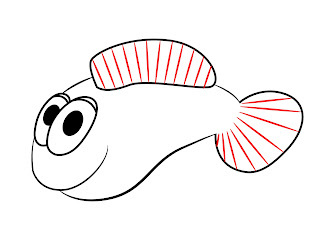 Next, we need to give our cartoon clownfish some fins. 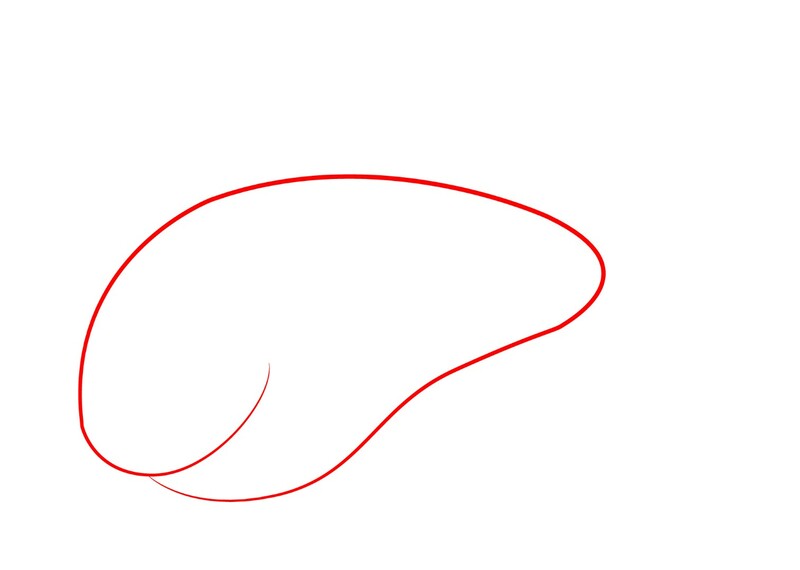 Draw a large oval running down the fish’s back, and a fairly large circle near the back for a tail fin. Give the fins of your clownfish a little texture by drawing several lines running vertically across each fin. Next, draw a curved line behind the clownfish’s mouth for a gill, and a very small fin sticking out from it. 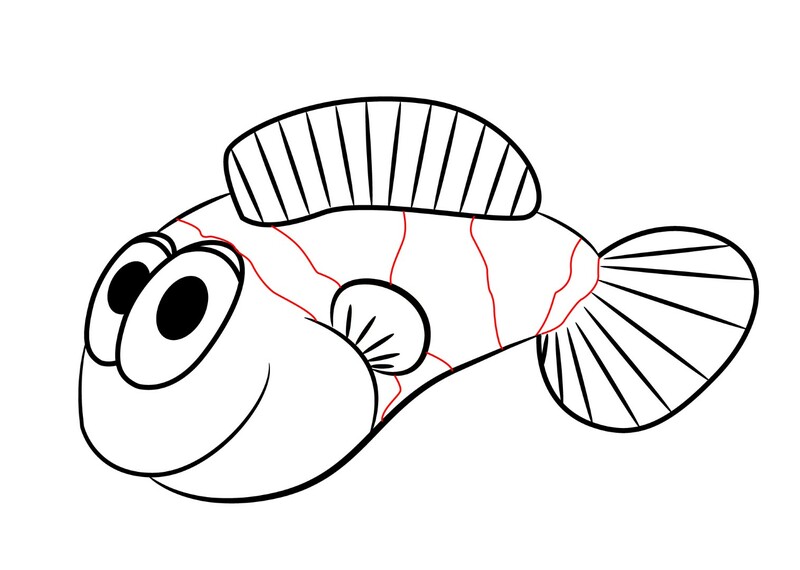 Finally, draw three very thick stripes running down the cartoon clownfish’s body. Color your clownfish orange and white, and he’s all done!